This may, I know, be a futile quest. But I am impressed by the way the post-war pro-market ideologues came to control the world through controlling the economic ideas that dominated it. Much of this strategy was focused on systems of power, and particularly the media, but they also dominated academic economics, and that struggle to reverse that sorry tale of misinformation and deception of so many young people is an important one. For this reason I would like to give a small plug to an article of mine that came out yesterday in the Cambridge Journal of Economics. This is the best of the economics journals, since it reflects the way economists at that university still have some freedom to question the neoclassical paradigm. 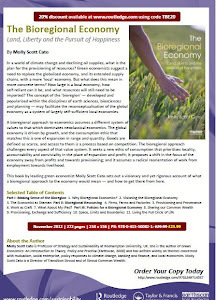 Building on my book, Green Economics, I seek in the article to carve out a specific space within academia for an approach to economics that arises from reverence to nature and a fundamental commitement to social justice. As part of a strategy of changing what economists do, and particularly how economics is taught to future citizens, I hope the paper will make a contribution. PS In response to a comment about the fact that this article is copyright controlled, I forgot to include in the article the important information that academics often make a pre-publication version of their articles available via the Social Science Research Network. If you wish to read this article please email me direct (molly@gaianeconomics.org) and I will send you an electronic copy. There is not much point in publishing an article behind a pay wall. The only people likely to read it are academic economists.